Davis Hodum, Snowbarger RD. Photo by Jonathan Hane. Every residence on campus has a person in charge of the details of planning and keeping up with the building and its residents. These people are the ones that send out emails about anything that might interest or inform their residents. These resourceful and driven people are called our Resident Directors and have more to them than meets the eye. “I graduated from SNU and this place and the people here had an incredible impact on my life. I wanted to give back to a place that invested so much in me and hopefully provide the support for students that I appreciated so much when I was a student. The Lord has been so faithful along my journey in Residence Life to continue to place me in situations to get to see and experience student’s lives forever changed and that never gets old. I love every moment spent celebrating awesome news with students, encouraging and walking alongside them in the middle of tough life circumstances and seeing students create memories that will last a lifetime. I love my job,” said Katy Bradley, Asbury and Imel RD and Director of Resident Life. Cole came to SNU because he was originally recruited to play baseball. “When I decided to come here it was because of baseball, but then when I got here I fell in love with this school. [There are] so many incredible people here. I love the SNU community,” Cole said. 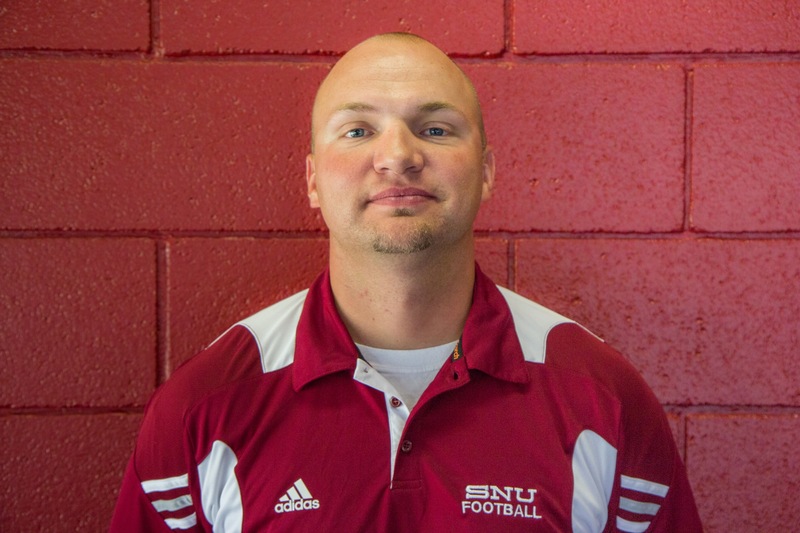 The opportunity to coach football at SNU and serve the young men of Snowbarger brought Hodam to SNU. All three RDs interviewed look forward to the coming year. “[I am excited for] the opportunity to build solid, content-filled relationships with the young men of Snowbarger and offer myself as a resource to them as they traverse an extremely demanding, challenging, yet exciting time of their lives. I am excited for this opportunity because I personally benefited from my dorm experience as well,” Hodam said. Bradley is excited to see students continue to get connected and to find new ways for Residence Life to create community among the student body. She is excited to hear new ideas from students on what they want to see in the Residence Halls with programming, facilities, etc. and intends to do her best to make some of those things happen. “I am so excited to see all of our RDs and RAs pouring into and investing in the lives of their residents,” Bradley said. Cole: Wichita, Kansas “I was born and raised there. I left in the summer of 2008 to go play on a faith based baseball team here in OKC called the Ambassadors. Hodam: Lansing, Kansas. However, he has spent the last ten years in Lincoln, Illinois working for Lubbock Christian University. Cole: A medium rare steak at a restaurant named Country Bob’s.